Everything The O.C. : The O.C. Mystery: Cohen Mansion Only Has Two Bedrooms? The O.C. Mystery: Cohen Mansion Only Has Two Bedrooms? Now I've noticed this topic come up on multiple occasions. One occasion was spoken about on an episode of the very great first ever O.C. podcast Portland CA (check them out).. 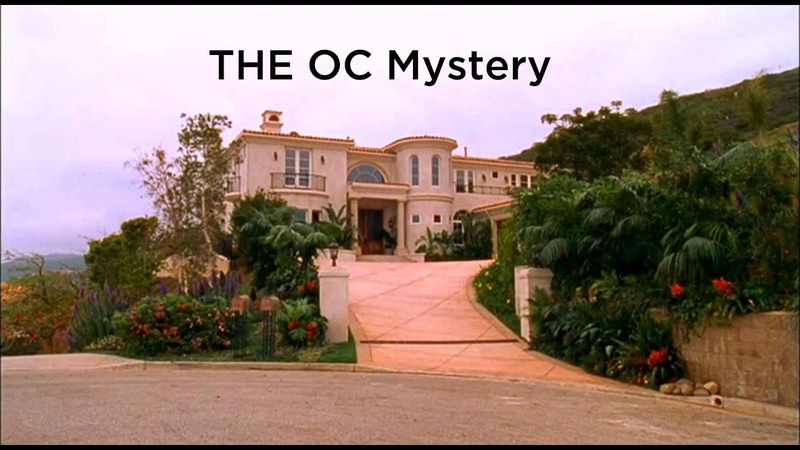 There are many questions in The O.C. but this is the mother of all O.C. questions! Question: If the Cohen's live in a supposed mansion why does it only contain 2 bedrooms? No guest rooms? Why did Ryan have to sleep in the pool house? Take a glance at the above image and you can assume without a doubt that the house has more than two bedrooms right?! Lets explore this question a bit, shall we? Evidence: When multiple guests from the outside comes into the Cohen home they usually get the pool house thus forcing Ryan to have to sleep on Seth's floor or on a living room couch. This is a classic situation that happens in multiple episodes. What we do know: Let's look at what we do know from what we actually see in the show. We know there's a master bedroom where Sandy and Kirsten sleep and we know that Seth has his own bedroom. We also know that there is a pool house with a bed (mattress on the floor, whats up with Atwood's and mattresses on the floor) and two living rooms with couches/chairs. That's it. The rest is left to imagination, assumptions and a few facts. Facts: In reality the interiors of the Cohen house we see on TV were modeled after another house on the same Malibu street. Those interiors were briefly seen in the pilot episode. See this and this for more info on that. The only problem with that house was that it was only a one story and what kind of successful real-estate developer lives in a one story house? The creators liked the idea of the bigger two story home exterior and the interior of the one story smaller home so they mashed the two together and wallah! "Answer": My guess is that realistically the Cohen house would have at least 4-5 bedrooms and 4-5 bathrooms not to mention bonus rooms, movie room etc. Based off the recent real-estate listing the real house features 6.376 square feet with 6 bedrooms and 6.5 baths. Obviously as stated above the real house's interior layout was completely different than the Cohen's home on TV But using the real house as a measure gives us an idea of how many room's their house would actually have, thus giving us an "answer". Truthfully: I think the lack of room was a plot device created to keep the comic relief going which I must say is highly entertaining and a lot more interesting than giving everyone their own room! Where's the fun in that? Everyone gets along and no drama?! No Seth and Ryan time via Seth's bedroom floor?! Seth bugging Ryan about his love life while Ryan tries to sleep? Who doesn't want that? Furthermore: I also think the pool house itself was a plot device as well. In the pilot episode Kirsten tells Sandy "he sleeps in the pool house", because Kirsten initially didn't trust Ryan's intentions and was worried he was going to case the house. Who know's maybe they wouldn't have let Ryan stay if they didn't have a pool house? I think the pool house was written into the show because Ryan already had a room in his old Chino house (shared with Trey) and it's everyone's fantasy (especially at a young age) to have your own home plus it would make sense that the Cohen's had such luxury's making it all very believable. We see life for Ryan take a 180 in just the pilot episode alone, from sleeping on the floor at his crummy run down alcoholic mothers house to living it up like royalty in his very own "house". The pool house gave Ryan something new, a safe haven for Ryan and a place all to himself to refresh from the stresses of Chino..Sweet, sweet independence, all the while wearing a fresh wife-beater washed by Rosa! Could life get any better? So for now this mystery will stay UNSOLVED/SOLVED a 50-50 split! Until Josh Schwartz chimes in that is! Let us know Josh! This topic has been updated upon and solved, read about it here!